Isiah Brown drives to the hoop. 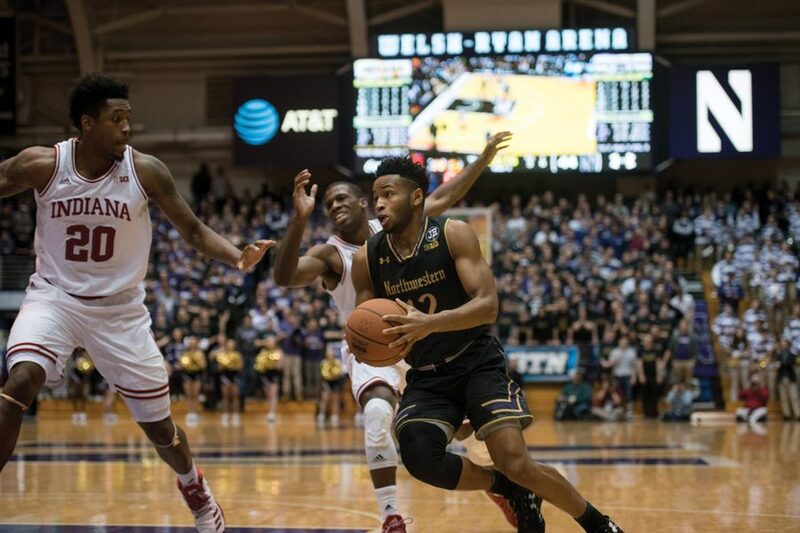 The sophomore guard will transfer from Northwestern, the Wildcats announced Saturday. Sophomore guard Isiah Brown has opted to transfer, the men’s basketball program announced in a Saturday release. Brown saw action in 25 of the Cats’ 32 games during the 2017-18 season and averaged 3.9 points per game. The Lynnwood, Washington, native made 35 appearances for the Wildcats his freshman year, averaging 6.3 points and 14.8 minutes per game. His best performance for NU came in a Feb. 15, 2017, loss to Maryland, in which he finished with a career-high 19 points and four rebounds off the bench. Brown was a three-star recruit who committed to Northwestern over offers from Washington, Utah State, UC Irvine and Saint Mary’s and was named the Gatorade State Boys’ Basketball Player of the Year in Washington in 2016. He averaged 33.8 points per game for Lakeside School during his senior season, and scored 2,372 career points, becoming the all-time leading scorer in the school’s conference history.